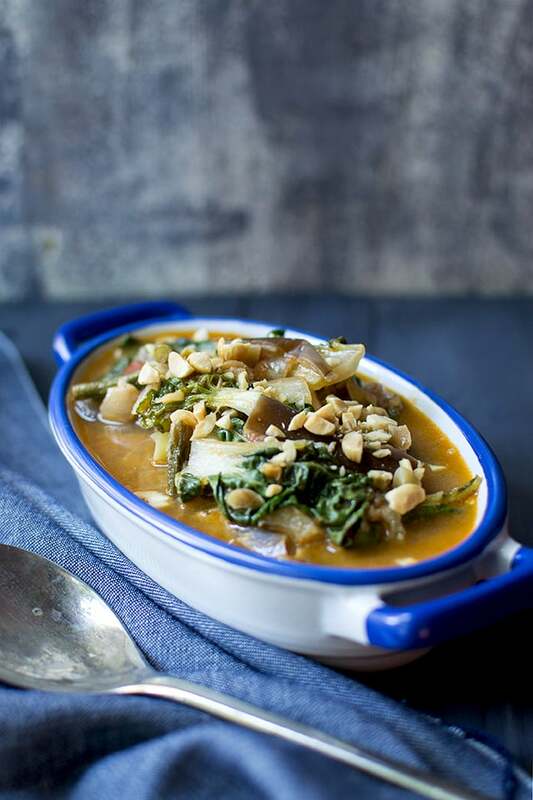 Vegan Kare Kare — a Filipino stew that is hearty, creamy and delicious with simple flavors. Serve it over rice for a yummy meal. 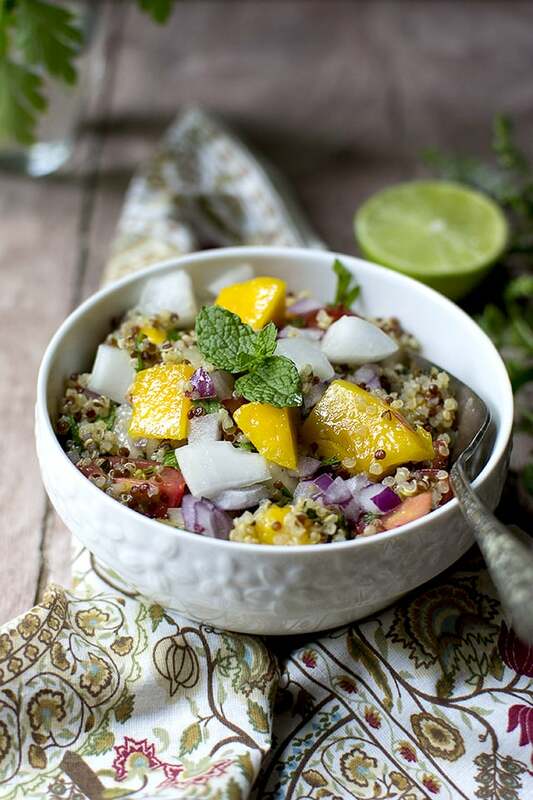 Senegalese Quinoa-Mango salad — This salad uses seasonal fresh produce and is very tasty and refreshing. The cucumber, tomatoes and the herbs are from my backyard, so it is a great way to use up your summer harvest. It is a great addition to picnics or potlucks. 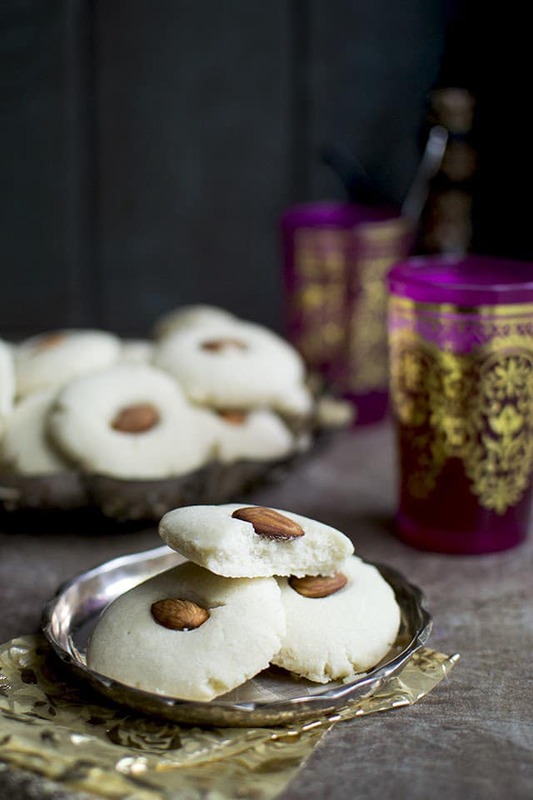 Recipe for Egyptian Ghorayebah or Ghreybeh Cookies. Just 3 ingredients and very easy to put together — these cookies have a rich buttery taste and a shortbread like texture. Afghan cookies are traditional New Zealand treats that are easy to make. 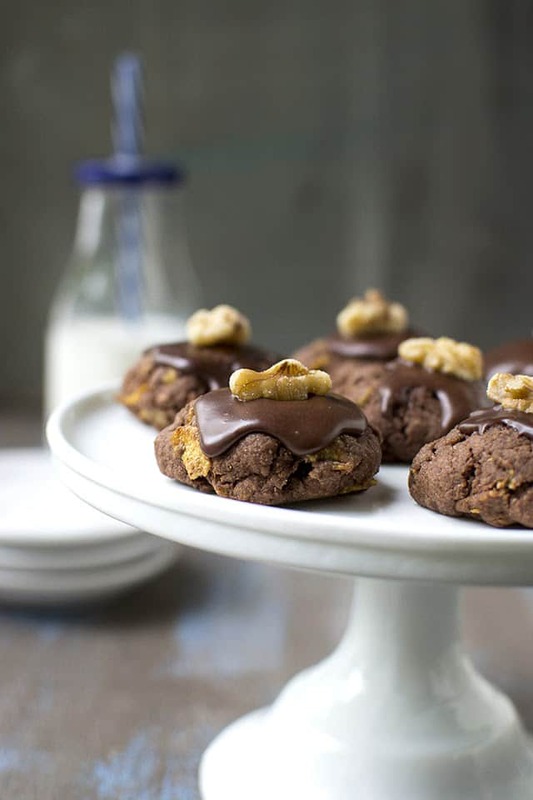 They are nutty, crunchy, chocolaty and delicious. They are made with cornflakes, cocoa powder, butter, sugar and flour. Then topped with some chocolate icing and a walnut. 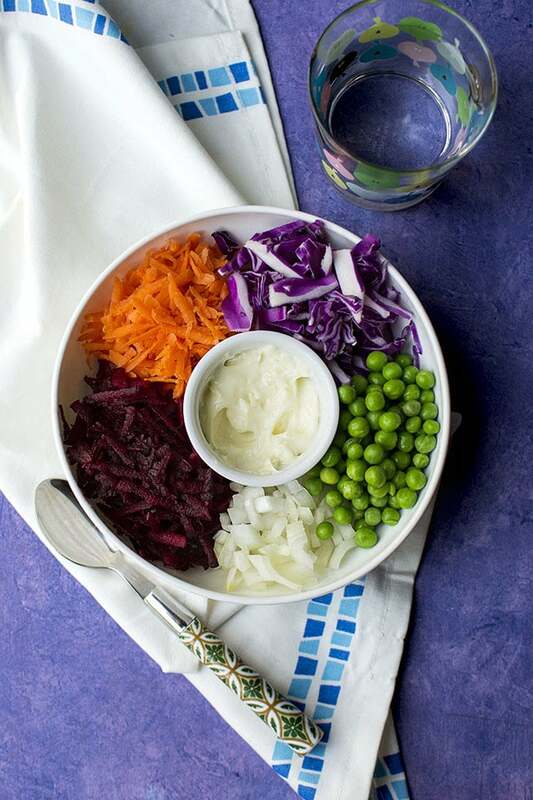 Recipe to make a quick chopped (or grated) salad that almost requires no cooking. 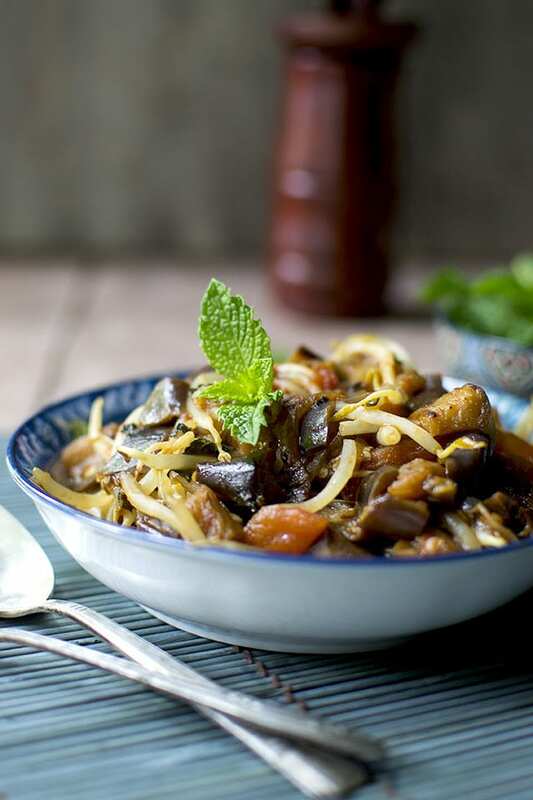 The only component that is cooked is the grated potato that is fried until nice and crispy. Recipe for easy to make and absolutely delicious Apple Trifle. 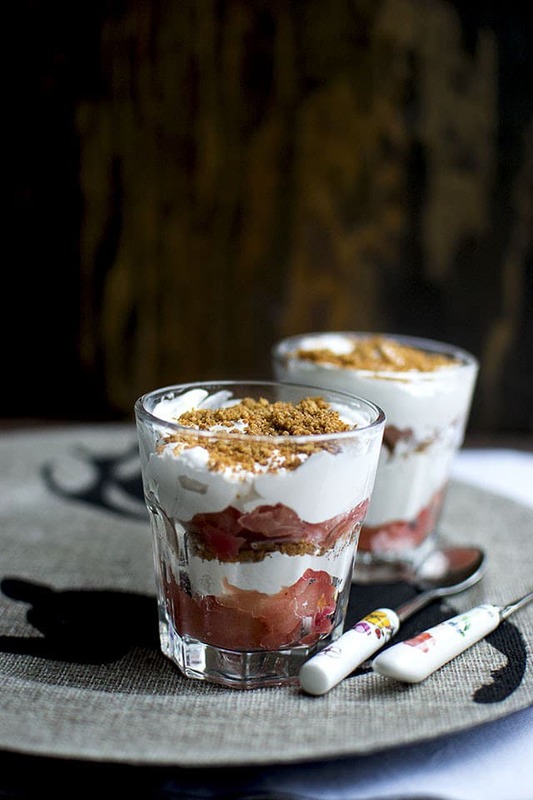 Serve it in a big bowl or in individual serving cups for a light and yummy dessert. 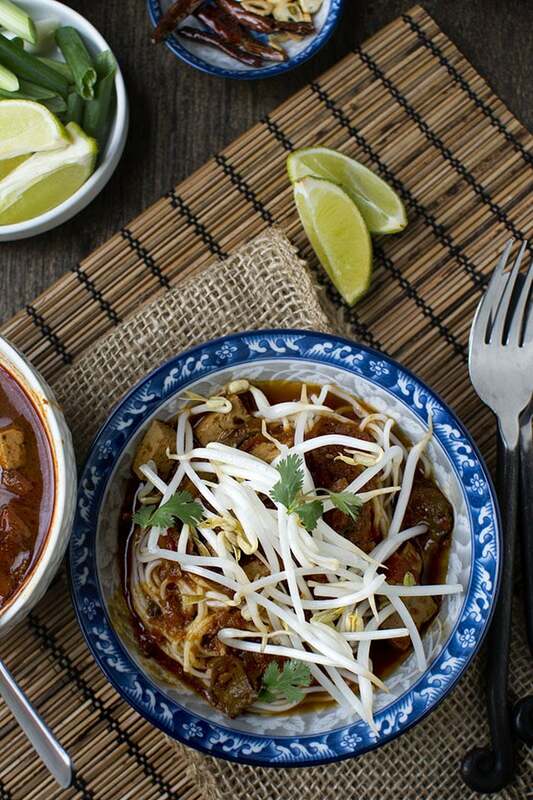 A lipsmackingly delicious Thai noodles with spicy curry. 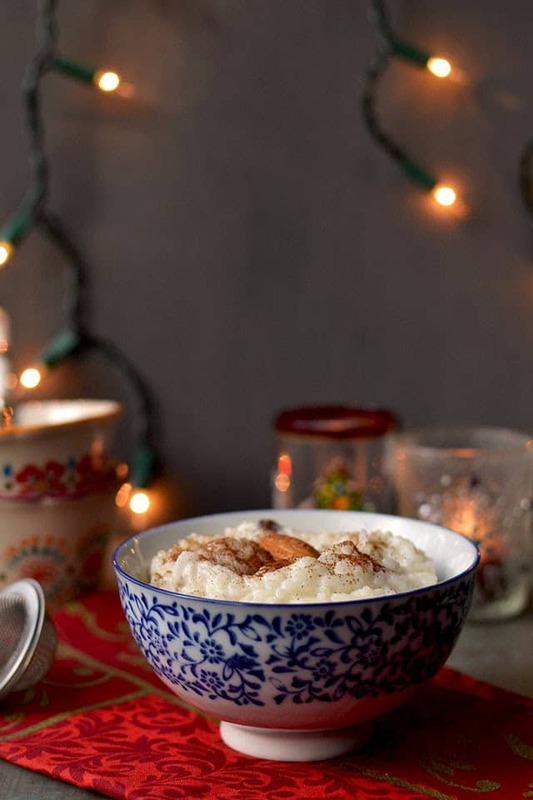 Swedish version of Rice pudding — this recipe is without eggs but turns out comforting and absolutely delicious.